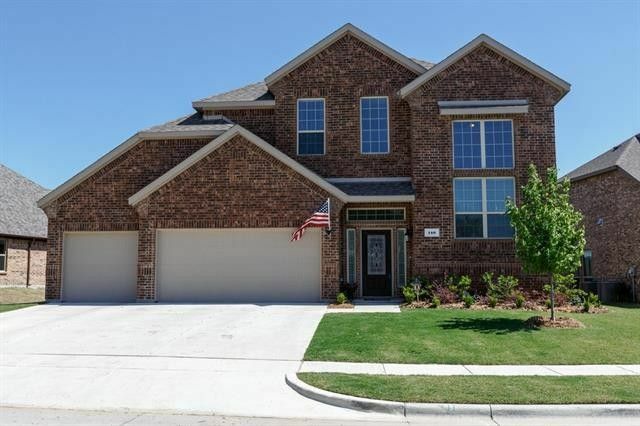 Stunning 'Better Than New' home in Rockwall ISD! Dramatic Foyer with iron staircase, soaring ceiling and crown molding. Graceful arches define the Formal Dining. Family Room features a stone fireplace, 2-story ceiling and wall of windows. Gourmet Kitchen offers granite, stainless appliances, gas cooktop, walk-in pantry and sunny Breakfast Nook. Secluded Master Suite boasts patio access and luxurious bath with separate vanities. Downstairs Guest Bedroom makes a perfect Study. Upstairs loft-style Game Room and split secondary bedrooms. 3-Car Garage, huge Laundry Room, Covered Patio, Sprinkler System and Alarm. Woodcreek is a Master Planned community with a pool, splash park, clubhouse, playgrounds and ponds! Directions: I-30 to Fate, North on FM-551, Right on SH-66, Left on CD Boren, Right on Stevenson, Home on Left.